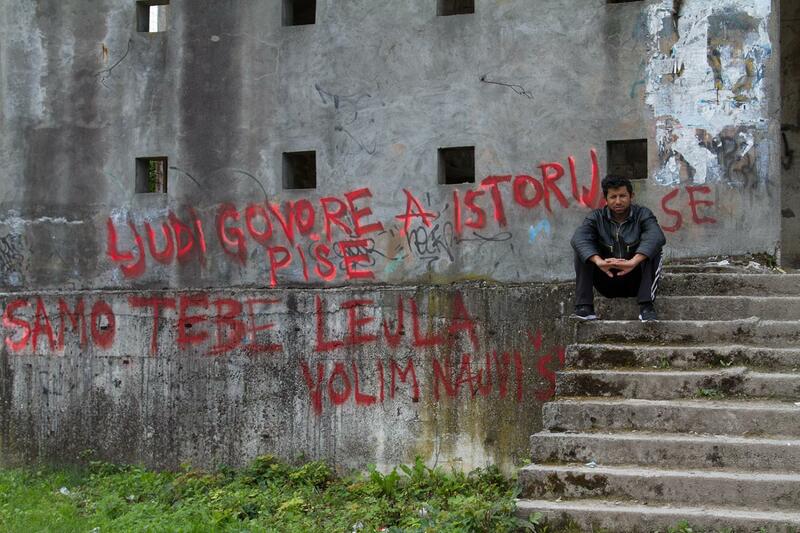 Bosnia, a war torn country not so long ago, is facing a new problem. 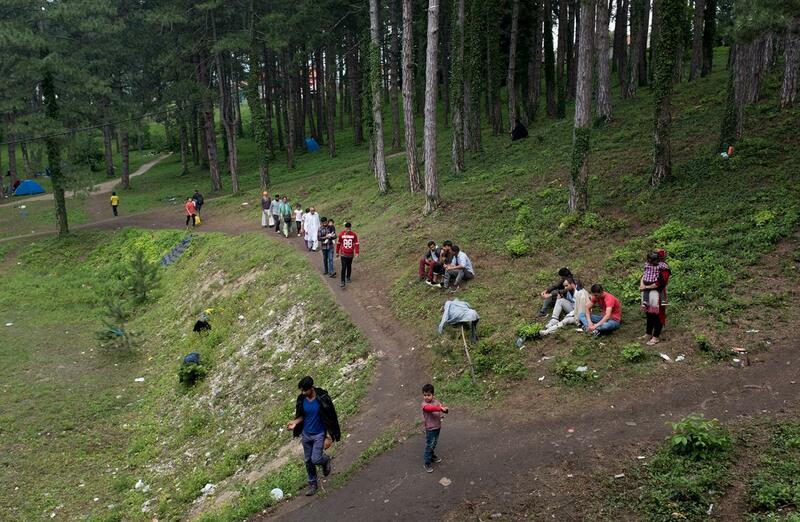 With the Balkan Migration Route now taking a turn through Bosnia thousands of refugees have entered the country with nowhere to go. They were hoping to pass through onto Croatia or Slovenia, and then onto Western Europe. Both these countries have closed the border to the refugees, and are inhumanely treating those they find trying to cross. They have been beaten, had their money stolen by authorities, and cell phones destroyed. With this being an election year the government of Bosnia has decided to ignore the current influx of refugees. Ethnic divisions are still present in Bosnia, and the politicians are using the refugees as a way of reclaiming their political territories. The only help they have received is form the people of Bosnia, and the Bihac Red Cross. 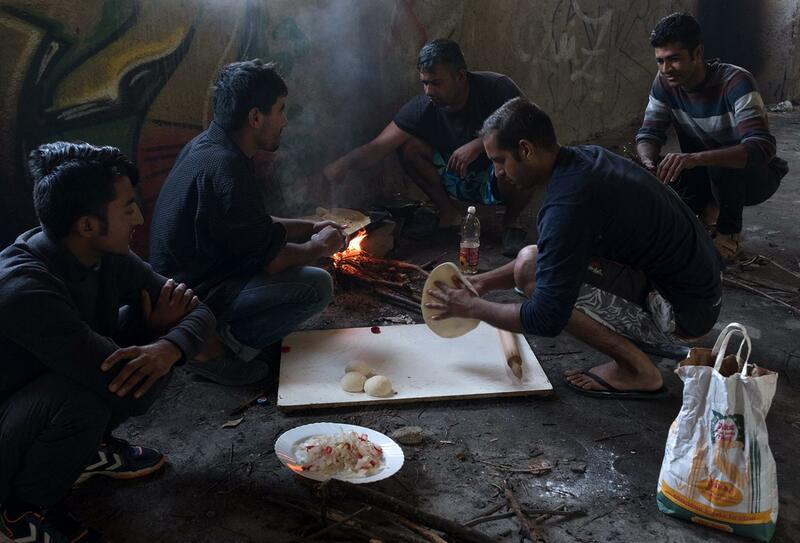 Atleast 2,000 refugees are living in horrible conditions, an abandoned war bombed old dormitory and adjacent field in the city of Bihac on the Croatian border. Many are families with young children. The future of these people in Bihac is unknown. With the government turning an eye to them there is no hope of government aid, and no future of leaving the abandoned dormitory in Bihac. 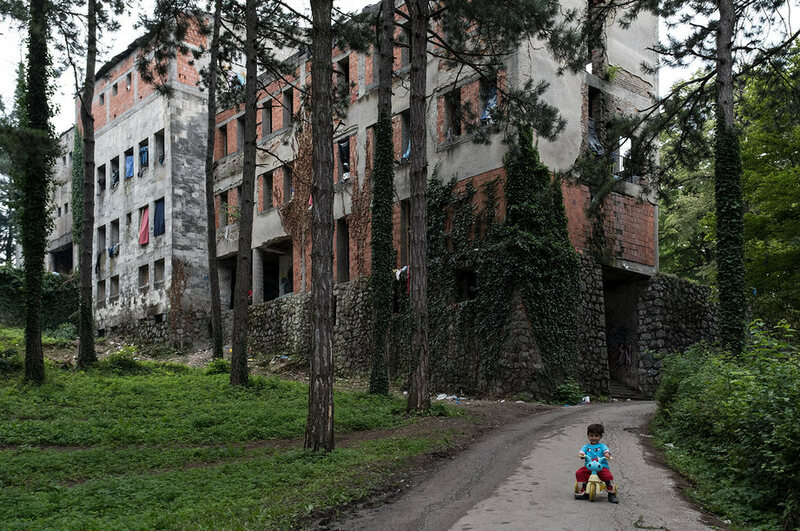 A child plays in front of the bombed out dormitory in Bihac Bosnia that about 2,000 Middle Eastern refugees have found shelter in. He rides a toy donated by local Bosniaks. 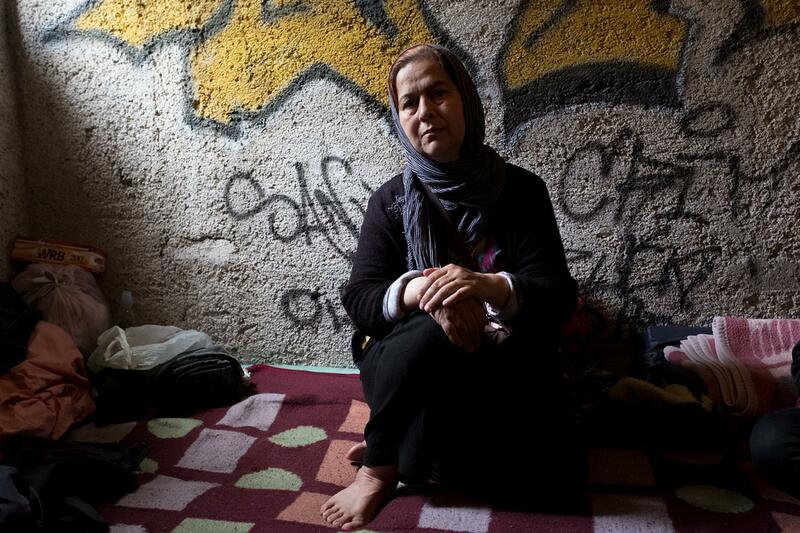 Bosnia, a recent war torn country, is facing a new problem. 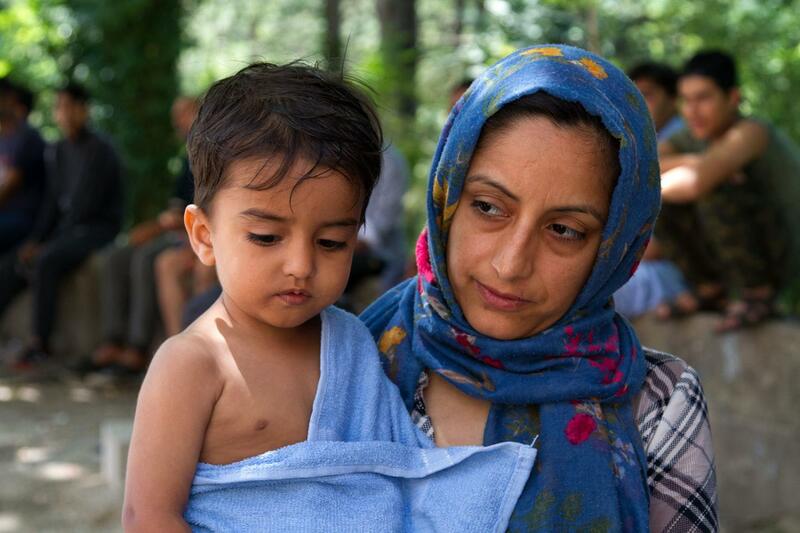 With the Balkan Migration Route now taking a turn through Bosnia thousands of refugees have entered the country with nowhere to go. They were hoping to pass onto Western Europe. However, bordering countries have closed their borders to the refugees, and are inhumanely treating those trying to cross. They have been beaten, had their money stolen by authorities, and cell phones destroyed. With this being an election year the government of Bosnia has decided to ignore the current influx of refugees. Ethnic divisions are still present in Bosnia, and the politicians are using the refugees as a way of reclaiming political territories. Atleast 2,000 refugees are living in horrible conditions, a war bombed old dormitory and adjacent field in the city of Bihac on the Croatian border. Many are families with young children. The future of these people in Bihac is unknown. With the government turning an eye to them there is no hope of government aid, and no future of leaving the abandoned dormitory in Bihac. 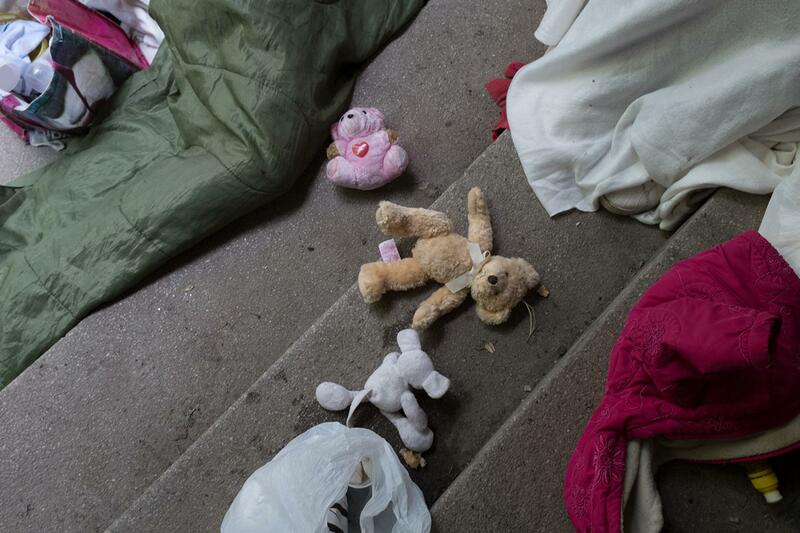 Children's toys are left next to their bed, a sleeping bag on the concrete stairs. A woman from Iraq sits on her bed. Her bed is a donated blanket on a broken concrete floor. Traditions always follow people. 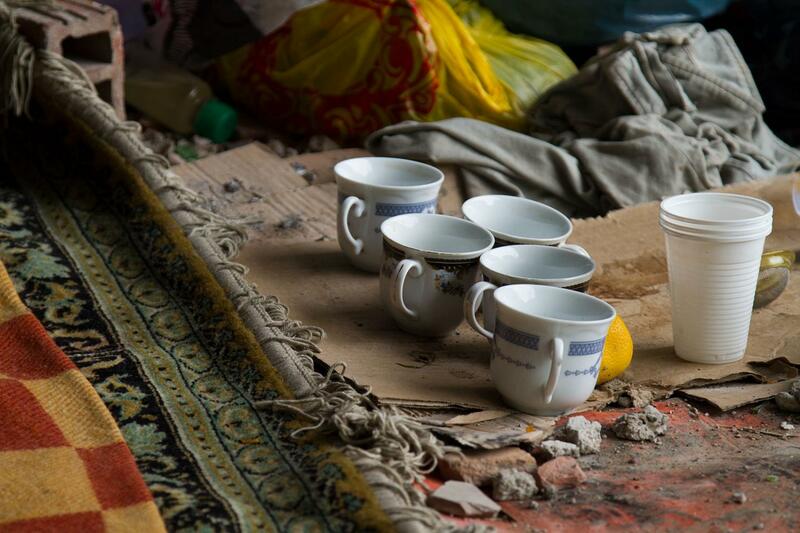 Here are tea cups from a Pakistani family are used daily. 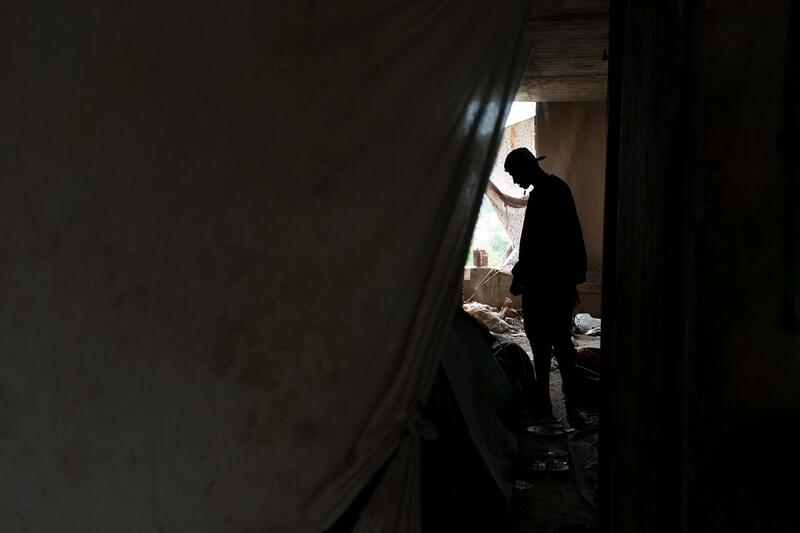 A man from Iraq is seen inside his current home in Bihac Bosnia. He is one of about 2,000 people living in the abandoned dormitory. He uses a sheet as a door. Men from Pakistan make Roti bread from scratch. They use found branches for a fire. 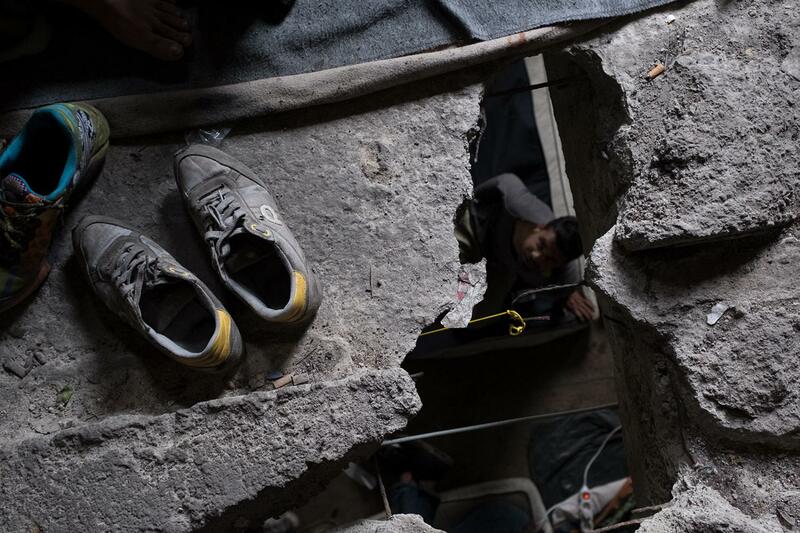 A man from the level below is seen through the broken concrete floor in the dormitory in Bihac. This dormitory was blown up in the war of the 90's. Three children from Iraq nap in an abandoned house next to the old dormitory in Bihac. 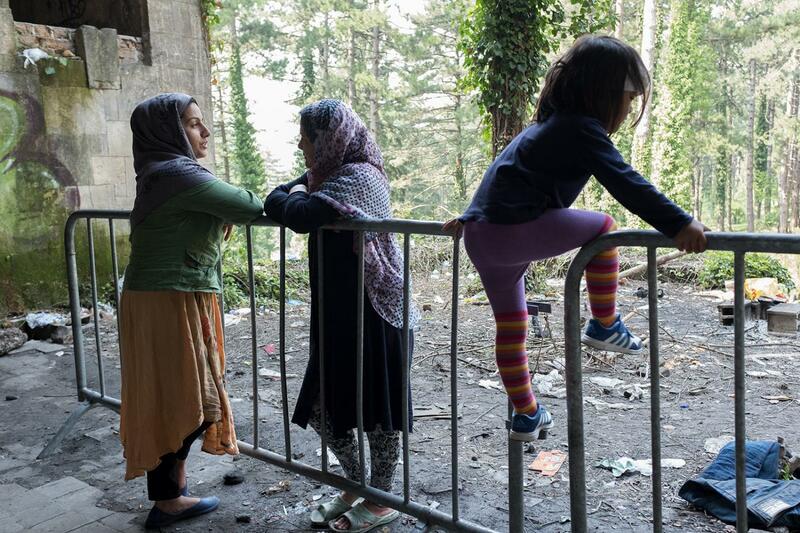 The Bosnian government has offered no assistance to the current influx of refugees. 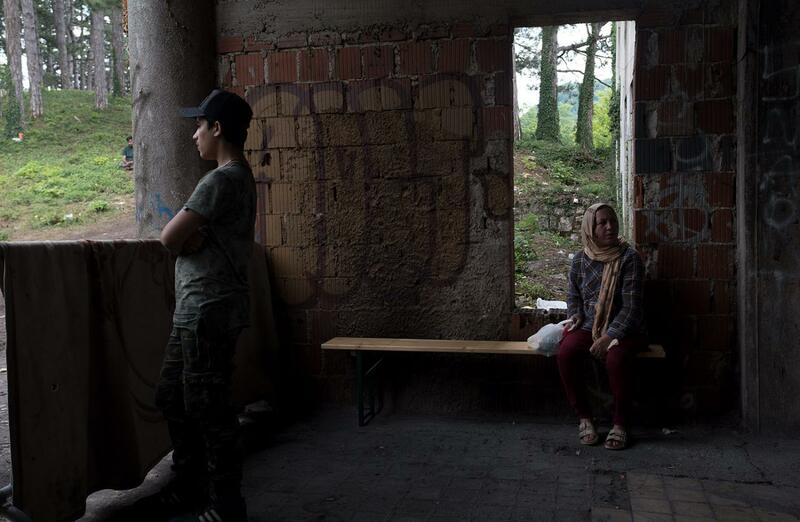 A man from Pakistan looks out onto the field of the dormitory, as a woman from Pakistan rests on a bench donated by the Bihac Red Cross. The outside field of the abandoned building that refugees have found shelter in. Currently this location is home to about 2,000 refugees. 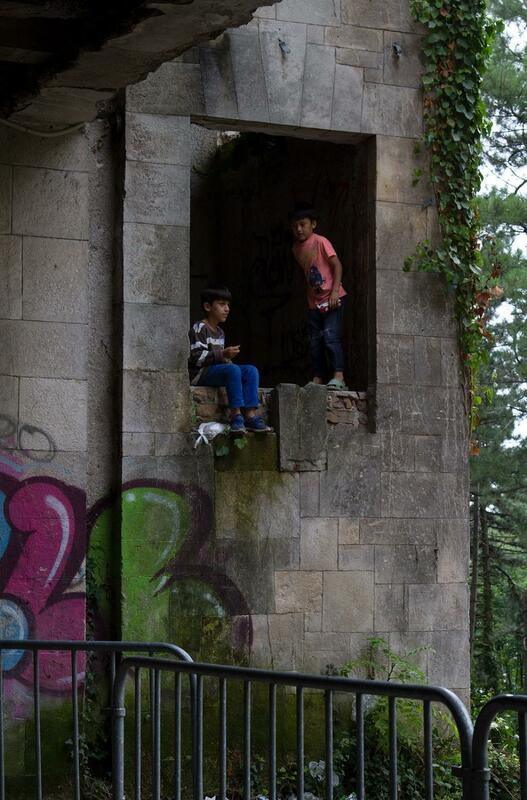 Two young boys from Iraq play in what used to be a window in the bombed out dormitory in Bihac. A woman from Iraq holds her child after bathing him. There are no plans for providing education for the refugee children. 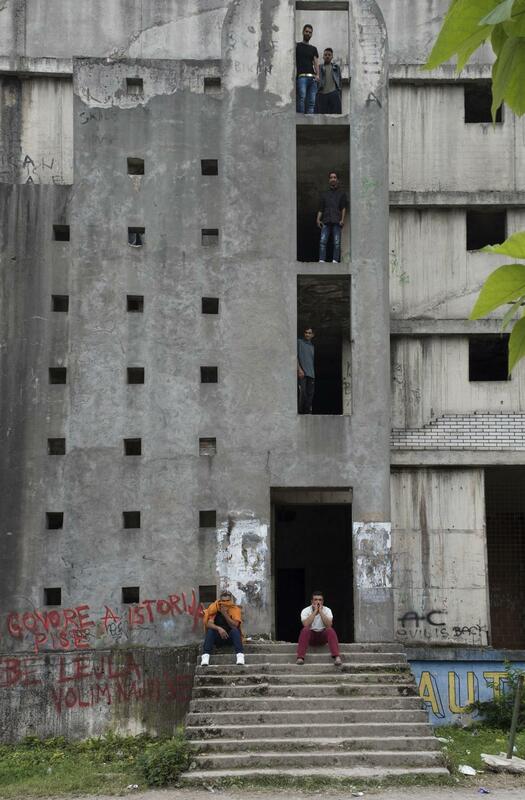 Refugee men from various Middle Eastern countries are seen in front of a war torn building that they are currently calling home in Bihac Bosnia. 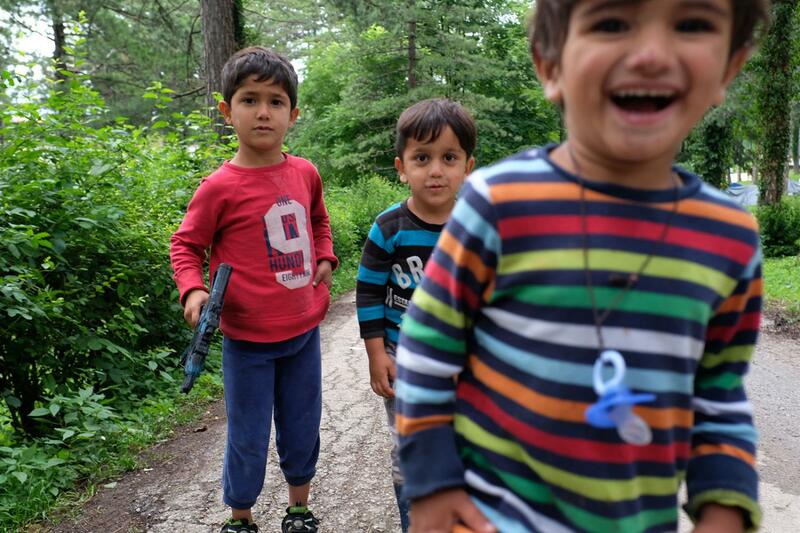 Three young children from Iraq are seen playing in the adjacent field to the dormitory in Bihac. Men from Pakistan shaving in Bihac Bosnia. Without a mirror they help one another by shaving each others' faces. A child plays while two women from Iran talk. 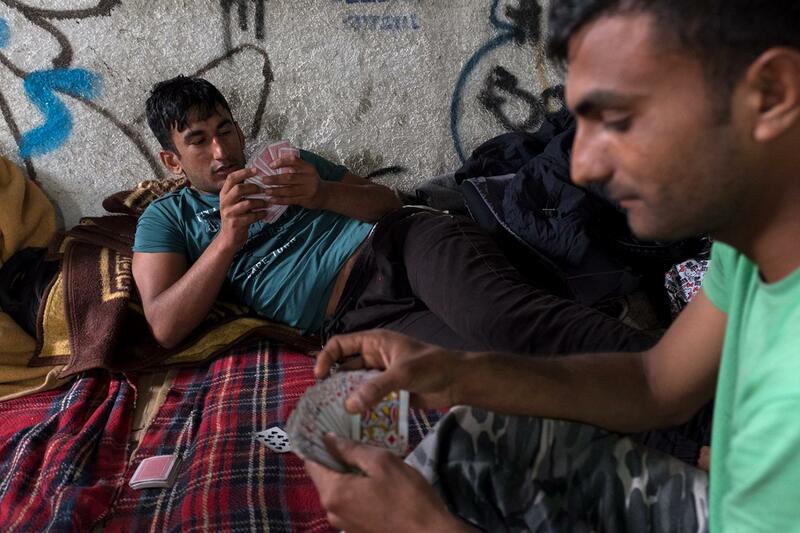 Two men from Syria pass time playing cards. 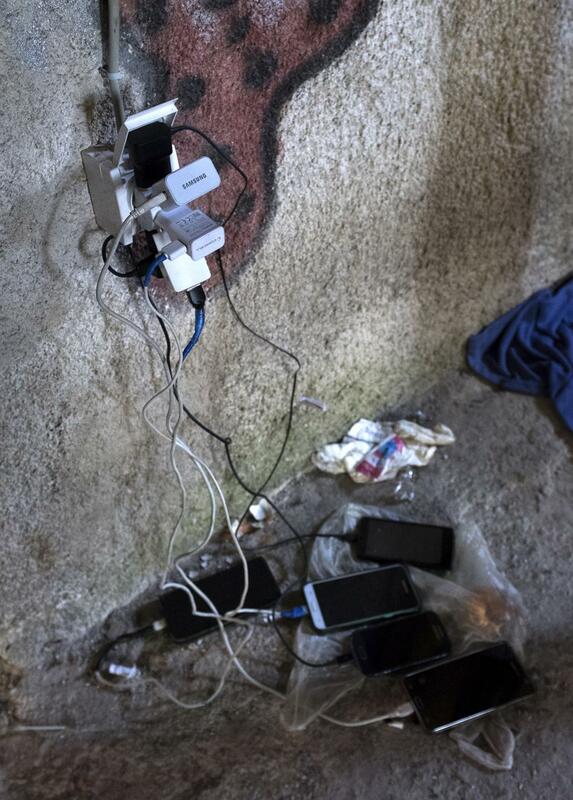 Refugee phones, aka their lifelines, charging in the abandoned building. Power can be hard to come by. These phones are used for everything, from maps to communication with family back home. 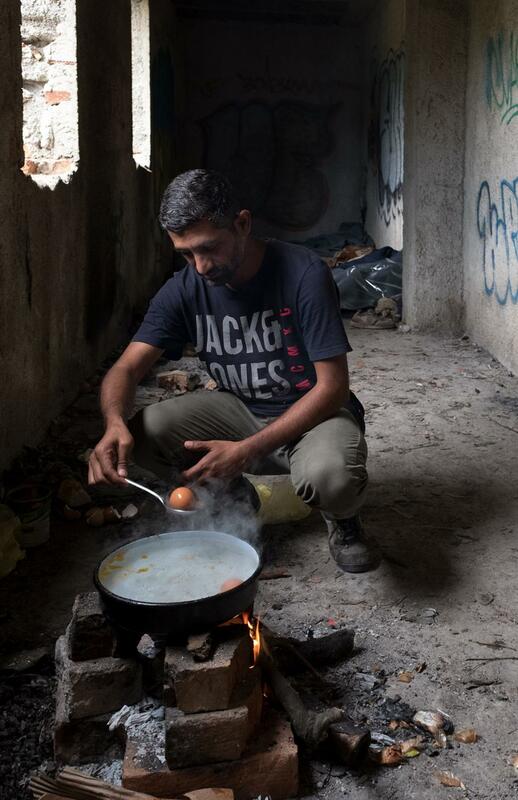 A man from Pakistan boils eggs over a fire. Eggs are a common food found throughout the dormitory. A Pakistani man sits on the stairs of the abandoned building he is living in. Behind him is a graffiti proclaiming love from years ago.